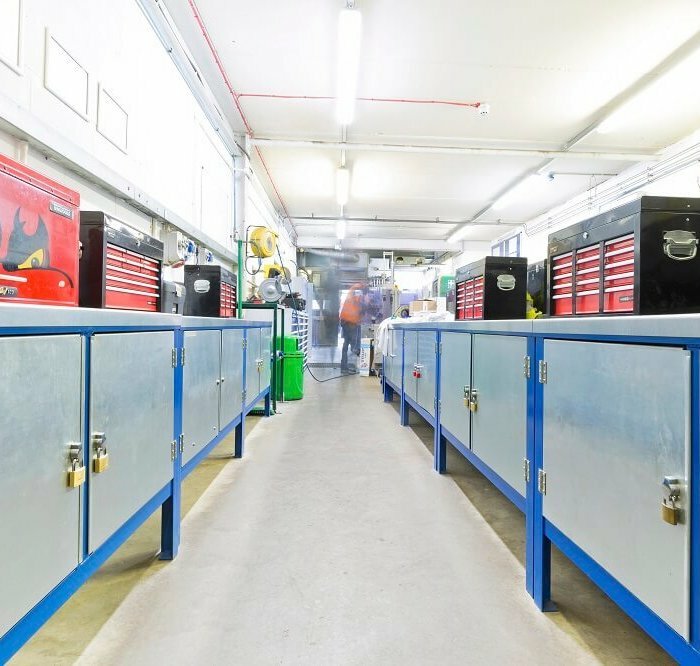 The engineering division of a leading consumer food solution business had a requirement to refurbish their engineering workshop. 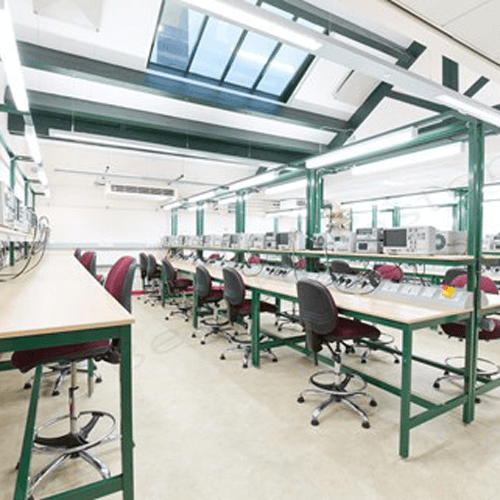 The end user asked their electrical supplier to source and supply workbenches. 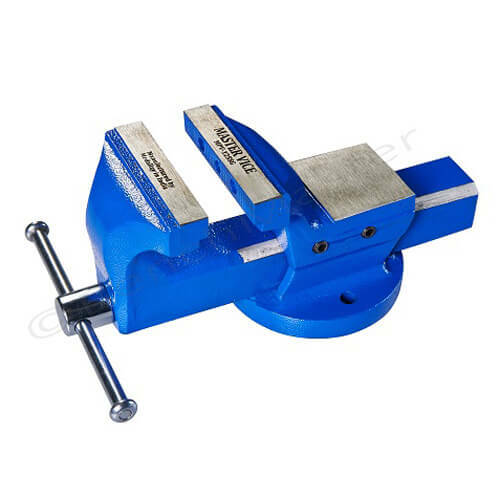 The electrical supplier arranged with the end user for BenchMaster to visit site and agree the specification. As a result a quote and plan was presented within 24 hours and submitted for sign off. 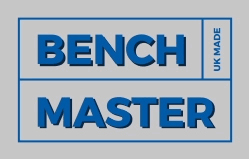 Once the budget/plan was signed off BenchMaster delivered one workbench per week over the course of a few months to suit the customer. 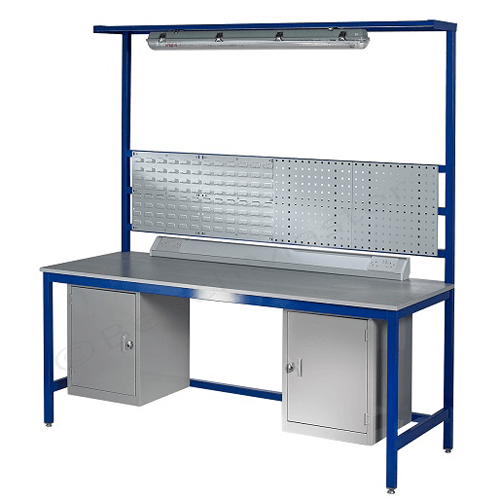 20 x 1260SC – 1200mm long x 600mm deep x 840mm 2mm galvanised steel top heavy duty workbench with a blue frame (RAL5010), 3 drawer unit right hand side and bottom shelf. 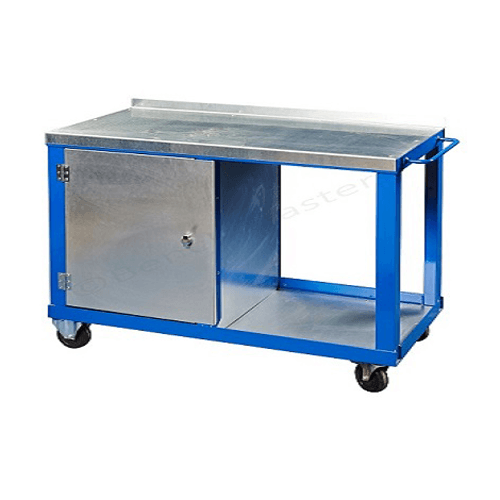 The engineering division of a leading food manufacturer required the workbenches manufacturing and delivering one over a few months. This fitted in with the growth at one of their manufacturing facilities in the UK. Visiting the engineering division and making a prompt offer played a significant part in winning this contract. Finally the agreed call off schedule of the workbenches were delivered when required.